Thanksgiving Orders due by Wednesday, November 1. Thanksgiving is on its way – place your order for pickup today to ensure your family has a Thanksgiving pie! We expect a heavy volume of orders, and may not have a selection for you to choose from if you do not order ahead. 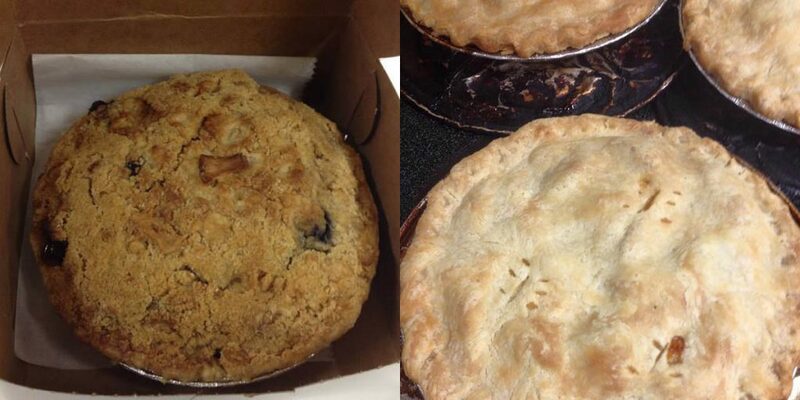 It is unlikely that we will have extra pies in the shop and cannot guarantee orders placed after Wednesday, November 1. Apple, apple crumb, sugarless apple, blueberry, mince, pecan and strawberry rhubarb. Pie orders are now closed. Thanks for your order!